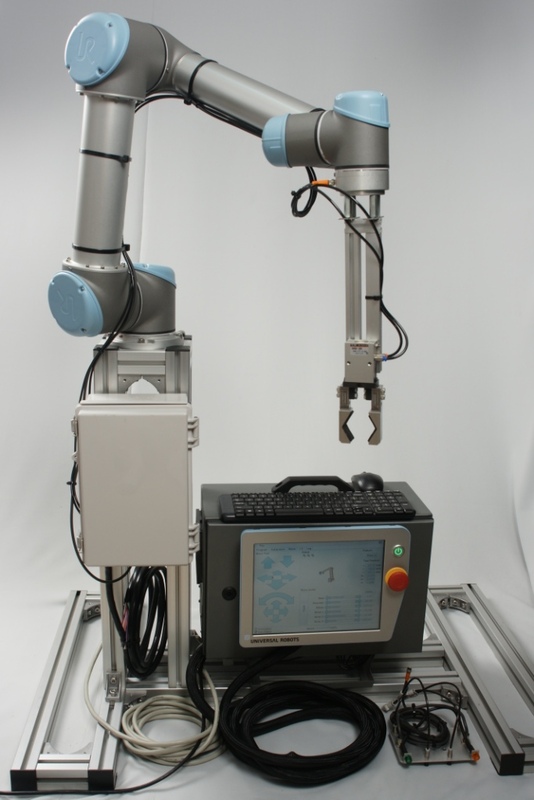 Universal Robots zacobria set with vacuum pump/compressor, gripper, valve, ejector, stand and junction box. This complete robot set is a ready made setup that contains the necessary components to apply the robot for a real task. 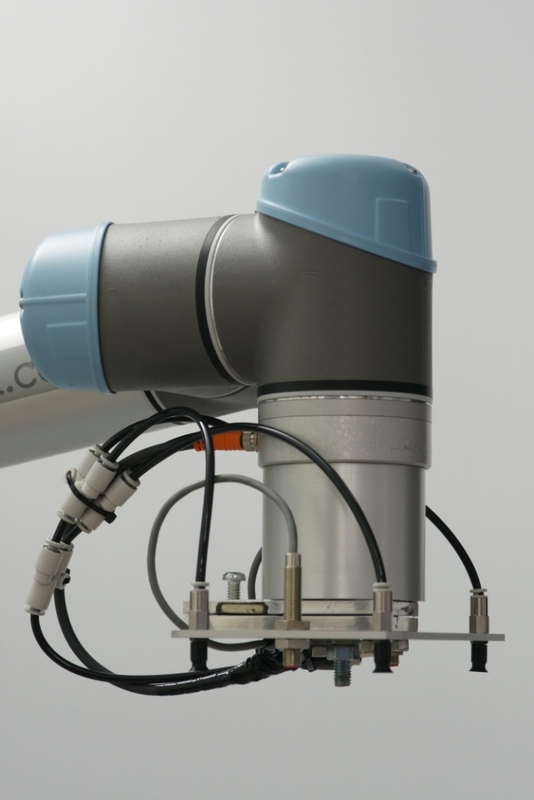 The set can be supplied with the UR 5 robot (payload 5 kg) or the UR 10 (payload 10 kg). The set has the option to use the gripper or the vacuum pads and therefore it can handle a wide range of items. The build in vacuum Pump/Compressor makes this set very flexible because only a Single phase 200-240VAC 50-60 Hz Power is necessary to start using the system. The Junction box contains 2 vacuum ejectors, 2 Vacuum/Compressed Air valves and 1 Compressed Air switch vale which can be applied in many various configurations. The junction box also has a full set of terminal strips for all the Input/Output the robot has as standard and thereby wiring and rewiring becomes very smooth and accessible. As a bonus the junction box has a satellite control box with 3 lamps, 6 switches, 2 proximity switches and 1 buzzer from where inputs and outputs can be set and monitored and manipulated which is very help full in preparing commissioning and programming. Along with the set is the 700 mm robot stand so the robot has a good mounting platform. The standard set has everything necessary to start using the robot, can the set can also be customized to fit a special purpose or other tools can be supplied. For easy user access to the control the set has a standard wireless mouse and keyboard. 1 .UR 5 or UR10 Universal robot. 1. Vacuum Pump/Compressor with relay for activation. 1. USB thumb drive for user programs. 1. Vacuum gripper with finger attachments. 1. 4 point vacuum plate with 4 vacuum pads. 1. Wireless keyboard with mouse. 2. Vacuum ejectors (convert positive compressed air to vacuum). 1. Positive Compressed air 2 way valve for opening and closing the gripper. 1. Satellite control box with 3 lamps, 6 switches, 2 proximity switches, 1 Buzzer. 20 metre 4 mm Vacuum tube.